Carol Holland has been gardening with RoncyWorks for 5 years. 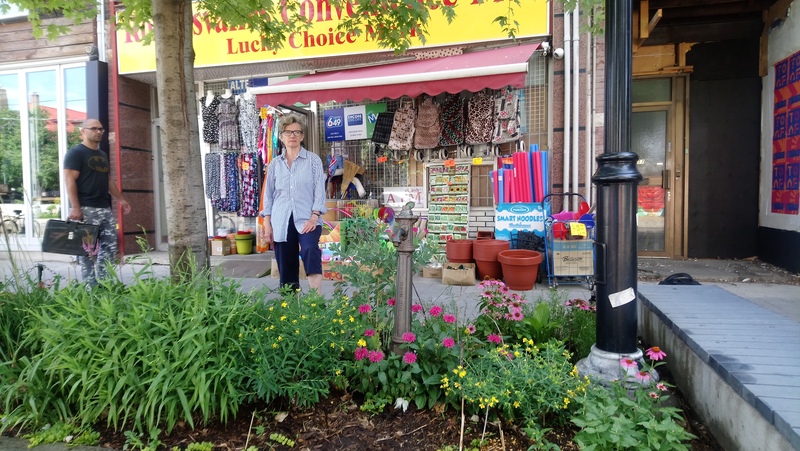 She maintains three gardens located at 465, 392 and 319 Roncesvalles. 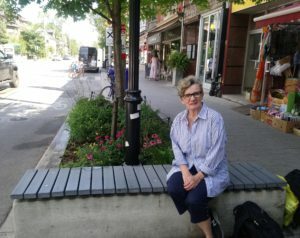 In addition, Carol regularly monitors the gardens on the street, tending to them as she goes along. She is quick to help other gardeners who need advice or an extra hand. The RoncyWorks team refer to Carol as an unsung hero and their Garden Angel. We appreciate her dedication immensely. 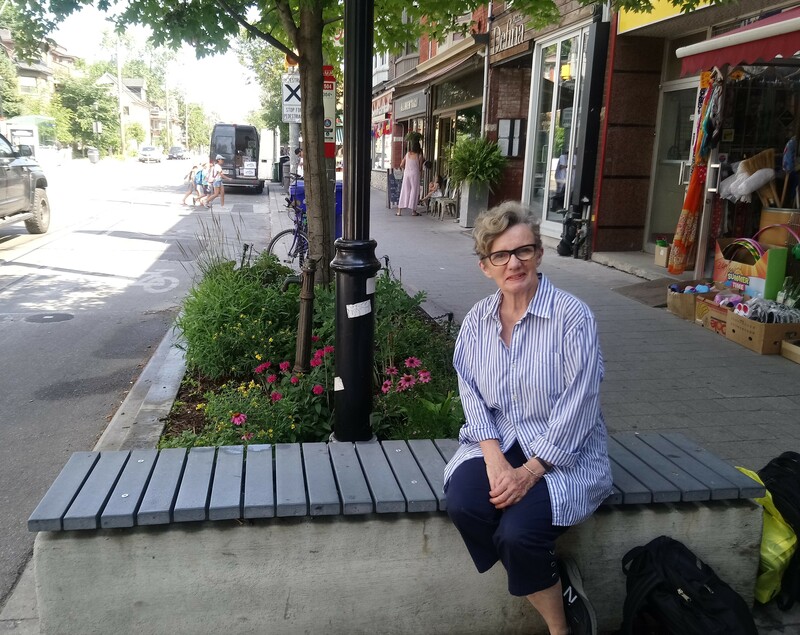 Thank you Carol for beautifying Roncesvalles! 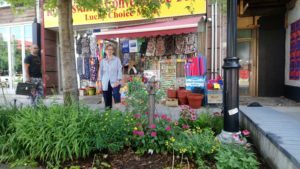 This entry was posted in Beautification, CURRENT, Our Neighbourhood, Our Roncesvalles on July 17, 2018 by Kevin Kapenda.